Communication is the key to success, whether you have a Fortune 500 business or a small office in a small town. If you have two or three employees, you probably don’t need a multi-line phone system or small business VoIP, but if you are bigger, such as 10 employees or more, you may want to consider contacting R-19 to upgrade to a new communication system. Is Your Internet Connection Capable? One of the things you should have in mind before signing up with our small business VoIP system is to check the capacity of your current Internet connection. Your connection needs to handle both VoIP service and the use of the Internet by your employees. If there’s not enough bandwidth, your connection will not be sufficient with this type of service. Another detail to consider before purchasing a multi-line phone system is the number of users you have in your network. 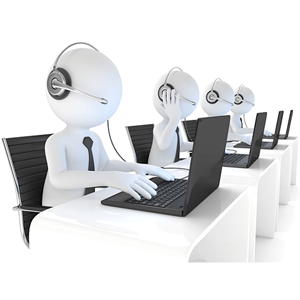 If your business has fewer than 10 employees, our multi-line phone system would actually be useful and worth the money. Do You Have the Proper LAN Setup? One more aspect to look into before getting a new VoIP service is to ensure you have the appropriate local area network setup. You have to make sure your network can still operate with the increased data; otherwise, it would be a waste of effort and money. These are all important details to consider before moving forward with our multi-line phones system or small business VoIP options.